This summer The Worship Street Whistling Shop, the Victorian-inspred cocktail bar in Shoreditch, is playing host to Hendrick's Surreptitious Subterranean Summertime Garden, a pop-up that gives the space a 'garden' make-over, with a grass-covered bar and lots more. There will be lots of cocktails, created specially by the Whistling Shop team, plus masterclasses and events. 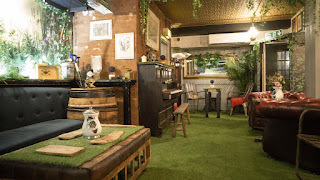 "This summer Worship Street Whistling Shop plays host to the Hendrick’s Surreptitious Subterranean Summertime Garden which runs until early September. Providing a hidden gin drinker’s oasis, the pop-up sees Worship Street Whistling Shop transformed into a verdant retreat with an array of shrubbery, foliage and gardening paraphernalia. Amongst some of the touches in store for guests are cocktails served in wheelbarrows and watering cans, and a programme of masterclasses and events which will be announced throughout the duration of the pop-up. 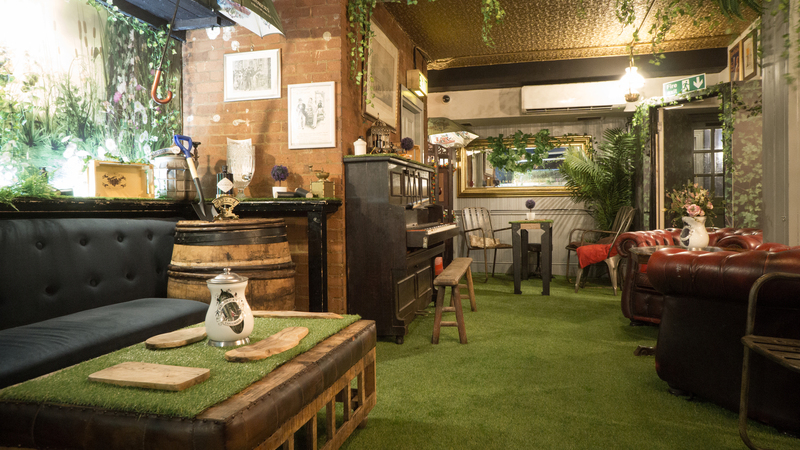 Guests can prop themselves at the grass-covered bar or settle in to the comfy sofas as they enjoy a menu of bespoke Hendrick’s Gin serves developed by the Worship Street Whistling Shop team. Paying homage to Hendrick’s curious arrangement of cucumber and rose petal infusions, the first menu – The Garden of Wonder & Unusual Flowers - plays with all things floral, whilst the second will be vegetal in nature and launch for the latter half of the pop-up. The Cucumberolic 75 is a take on the classic French 75 which combines Hendrick’s Gin, Cucumber Acid and Sparkling Rose Flower, whilst the Anomalous Negroni is a peculiar conjuring of the classic aperitivo that mixes Hendrick’s with Hibiscus Sweet Wine and Kamm & Sons. In the Oddlytini Hendrick’s, Buzz Button Vermouth and Italicus Rosolio di Bergamotto mix together to create a serve which reimagines the martini."